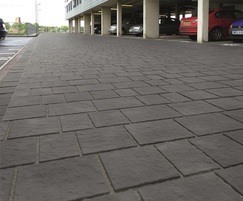 Drivesys Flamed Stone is a concrete block paving range designed to recreate the appearance of natural stone stetts. 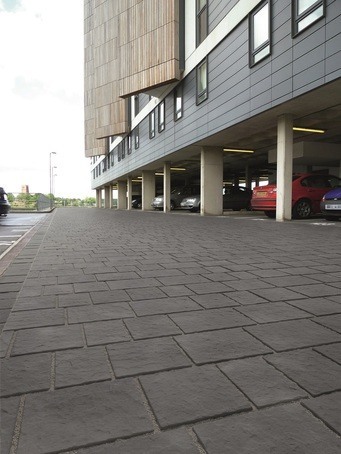 The paving is cast from moulds made from real stone stetts, and is available in packs containing random sizes. Consistent dimensions of the blocks means they are quick and easy to install, and they can be laid on a flexible sand bed instead of the rigid mortar bed required by natural stone setts. This typically reduces the cost by at least a third when compared to traditional stone setts. Drivesys is designed to withstand loads of up to Category 5 (one commercial vehicle per week), which is ideal for pedestrian areas which may require a weekly delivery or waste removal vehicle.